HomeLINUX/UNIXHow to install LAMP on CentOS 7. A LAMP web stack consists of Linux Operating System, Apache web server, MySQL/MariaDB Database Server and PHP. It is a web stack in which we install necessary software so that it can be used for hosting web content. If you are in a hurry to install LAMP on CentOS 7 to test something, there is a link to a simple script at the end of this Post. 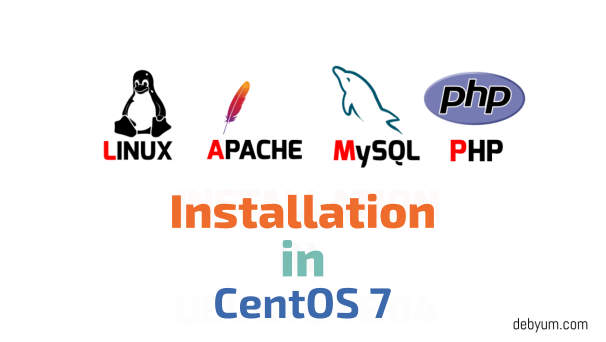 Install Apache in CentOS 7. Install Latest MySQL 10.3 in CentOS 7. Install PHP 7.2 in CentOS 7. Before installing anything we will first update our server. INSTALL LAMP ON CentOS 7. INSTALL APACHE 2.4 in CentOS 7. First of all, we will install Apache 2.4 on CentOS 7.5 server. Setting ServerName globally to Suppress Syntax Warnings. Now, we will take care of an annoying warning message about not being able to reliably determine the server’s fully qualified domain name. This error appears during restarting Apache server in lamp web stack or when checking for syntax error. This error appears during restarting Apache server in lamp web stack or when checking for syntax error. If you want to set your IP Address to your server name then you can use. We will allow Apache to communicate through Firewall. 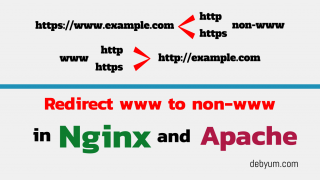 To check if Apache is working properly, you can always visit your IP-ADDRESS in your browser. Or you can install elinks or w3m like packages to check apache’s working from command line. Install Latest MariaDB 10.3 in CentOS 7. MariaDB is a truly Open Source Database management system created by MySQL’s original developers in 2009. MariaDB is easy to install and configure just like MySQL and is currently the default database Management system in Centos 7. MariaDB is recommended for its official support. Also check this post: Complete guide on how to Install, Backup, Restore, Recover password in MySQL/MariaDB. To simply install Latest MariaDB server we will create a repo file in /etc/yum.repos.d directory and enable that repo for MariaDB 10.3. Now that we have created a repo. 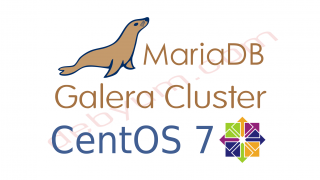 , we can easily install Latest MariaDB in CentOS 7 server. Now, Update the system and then install the MariaDB client and Server. Also, Enable the mariadb.service to start at boot and then start the mariadb.service. Starting MariaDB and Double-checking it’s status. Now, We need to secure the Database server by running this script ( mysql_secure_installation ) in the shell. Install PHP 7.2 on CentOS 7. PHP is used to run scripts, connect to the Database server ( MySQL/MariaDB ) to fetch data and process all the data to display dynamic content. Also, check this post:> Top 10 PHP Security Best Practices For Linux Sys Administrators. Also, we will install extra packages so that our PHP can connect with MySQL/MariaDB database. These packages are often required by many CMS and HRM applications for example WordPress. Finally, Restart Apache web server. With LAMP web stack installed on CentOS 7, we can now install any type of CMS or HRM like WordPress or PrestaShop. Lamp web development stack is easy to install and you should definitely try it. And if you want are in a little bit hurry to install LAMP in CentOS 7 test server then you can visit Page 2 for a simple LAMP script. I have tried to cover all the basic to advance concepts with their examples. Still, if I have missed anything please update us through comment box. I will keep updating the same based on feedback’s received.